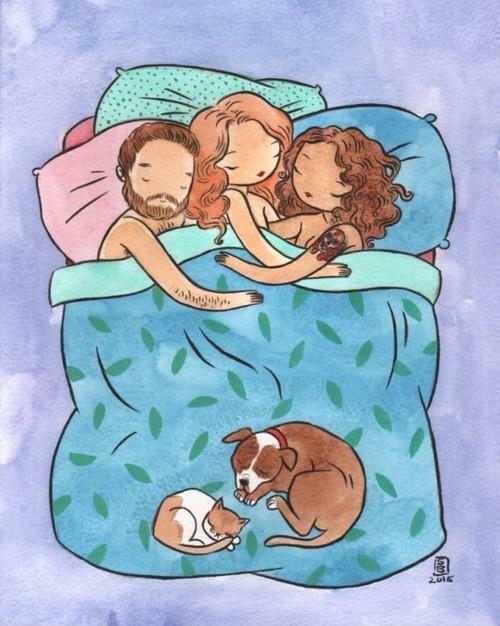 When you're a polyamorous person, you don't have a love life that's exactly like everyone else's. You don't think three is a crowd, you think it's the start of a wonderful, loving family. It can be awkward figuring out how to come out as polyamorous, once you've realized that it's your romantic path. But it can intensely rewarding, too. After all, we're only as a sick as our secrets, and if love is a good thing (and it is) we should be able to let it shine! 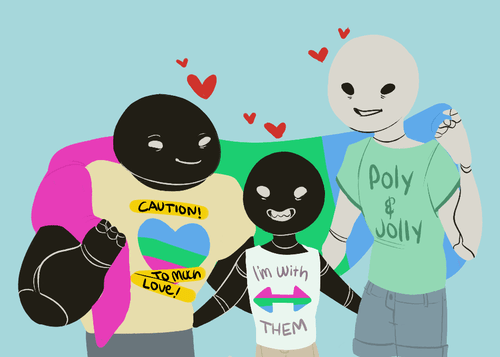 If you're in a happy healthy polyamorous relationship and you're thinking about how to come out as polyamorous, we've got a guide to help you make the leap from private to public with your lifestyle choice. 1. Keep it personal and keep it specific. Today, it's easy to share information. Want people to know you got engaged? Share a pic of the ring on Instagram, or update your relationship status on Facebook. Unsurprisingly, there isn't a button you can click online to let the world know that you're polyamorous. You could always just announce it via Tweet or a status update, but please don't. Coming out is a process. You can't get it done in one fell swoop. Have the conversations as they arise. Don't speak in generalities, speak in specifics: you aren't talking about all poly people, you're talking about YOU and YOUR life. That takes pressure off of your own shoulders and the shoulders of the people who want to support you. 2. Tailor your explanation accordingly. You come out every single day. When that woman at the mall asks for your ID when your boyfriend buys pants using his other girlfriend's credit card, you come out. But coming out to her is (and should be!) different than coming out to your mother or your best friend. For people you don't know well, simply saying, "we each have more than one boyfriend or girlfriend" is more than enough. For your friends and family, rather than focusing on the multiple partner aspect of polyamory, talk about how polyamorous people view love. You don't view it as a finite resource, it's infinite, and you're in a relationship that celebrates that. 3. Be prepared for tough questions. When I told my mother that I was dating a polyamorous man, the first thing she asked me was, "how can you do that as a feminist?" People are going to ask you really hard questions about something that has nothing to do with them. Listen to what they have to say, but remember, it's not your job to have all the answers. As long as you are happy and healthy, the rest is just academic speculation. Maybe they will ask you questions that you have answers to, maybe their questions will make you think. If you want to answer them, go ahead, but if you don't, you don't have to. Just because your relationship involves more than one person that doesn't mean it involves EVERYONE! 4. Don't engage with judgmental people. If someone in your life decides to end their relationship with you because of who you love and how you love them, it will hurt. You chose honesty and respect, and whatever the reason, they can't get past their own social mores to see that. People who judge you and choose to express that judgment with hate speak or abuse, verbal or otherwise, are small, petty, and damaged. Resist the urge to engage with them. 5. If you aren't ready, don't do it. You don't have to come out if you aren't ready to come out. Like I said before, coming out as polyamorous is a process. It takes time, and in many respects, you'll be coming out every day for the rest of your life. If you don't want to come out to your boss, that's FINE. If you'd rather your grandmother didn't know you were dating more than one person, TOTALLY OKAY. The wonderful thing about coming out is that you do it on YOUR OWN terms. Coming out should always be, ultimately, a celebration of the self you are so proud to be. If you aren't there yet, don't force it. The world will be waiting when you're ready with open arms.